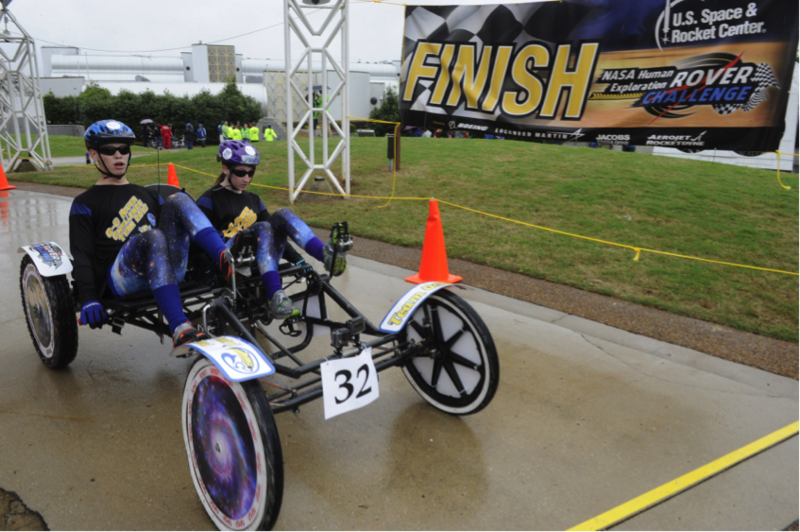 November 13, 2015 – Registration is open for student teams to participate in the 2016 NASA Human Exploration Rover Challenge, organized by NASA’s Marshall Space Flight Center in Huntsville, Alabama. The challenge will take place April 7-9, 2016, at the U.S. Space & Rocket Center, also in Huntsville. Rover Challenge puts students in the driver’s seat, literally, as high school, college and university teams must design, engineer and test a human-powered rover. Once built, teams will attempt to traverse a mock obstacle course that simulates terrain found on Mars, as well as other planets, moons and asteroids throughout the solar system. Rover Challenge provides a test-bed for potential technologies NASA can expand upon for future deep-space exploration. Teams are asked to research, develop and apply strategies to overcome a specific challenge. For 2016, teams are required to design and fabricate their own wheels, instead of using off-the-shelf products. For questions regarding U.S. team registration, please contact Diedra Williams at 256-544-5721 or diedra.a.williams@nasa.gov. Please direct questions involving international teams to Amy McDowell at 256-544-8411 or amy.mcdowell@nasa.gov. Registration for international teams will close January 11; U.S. team registration closes on February 8.